US equity indexes closed moderately higher, sp +8pts at 2496. The two leaders - Trans/R2K, both settled higher by 0.6%. 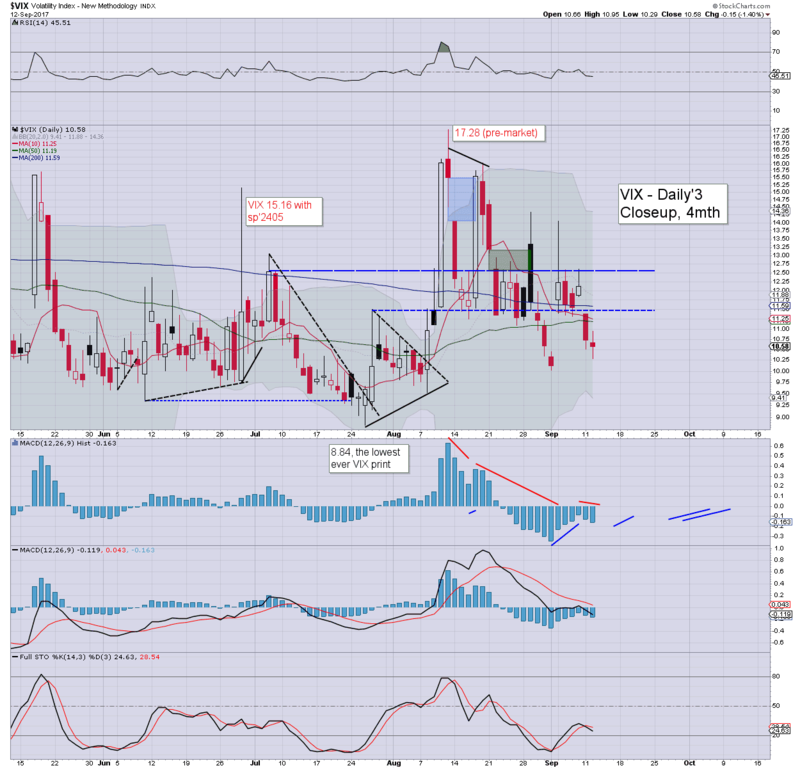 VIX settled -1.4% at 10.58. 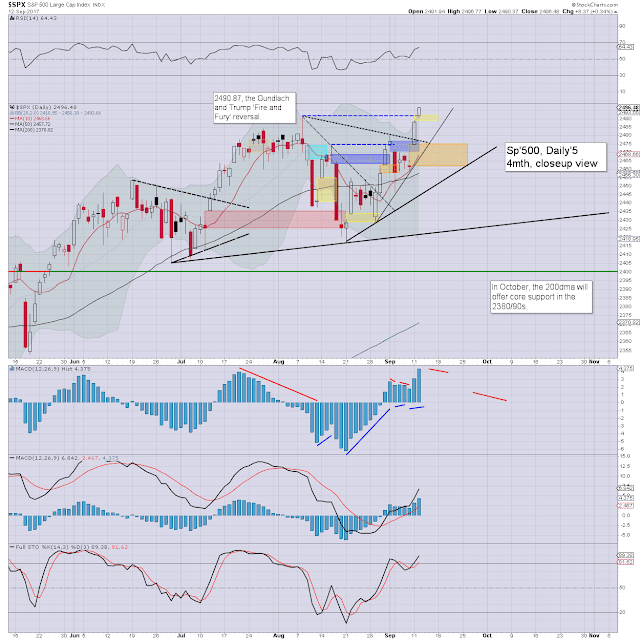 Near term outlook offers at least a tag of the 2474/61 gap zone. More broadly, the 200dma (2370 and rising) remains prime target into October. US equities opened just a little higher, but it was more than enough to generate a new historic high for the sp'500. The day remained positive, with the sp' breaking a new historic high in the closing minutes of 2496.77. Clearly, there is a 'magnet/attraction' to the psy' level of 2500, and it could easily be seen tomorrow morning. With equities clawing upward, market volatility remained subdued. The VIX printed 10.29 shortly after the open, and settling in the mid 10s. If sp'2500s, the 9s are briefly viable. On balance, some cooling to at least sp'2474 is likely, certainly by late Thursday. Keep in mind Friday is quad-opex, and that will lean to chop. Right now, a net weekly gain looks probable.